Nothing says summer quite like a big, juicy slice of watermelon! 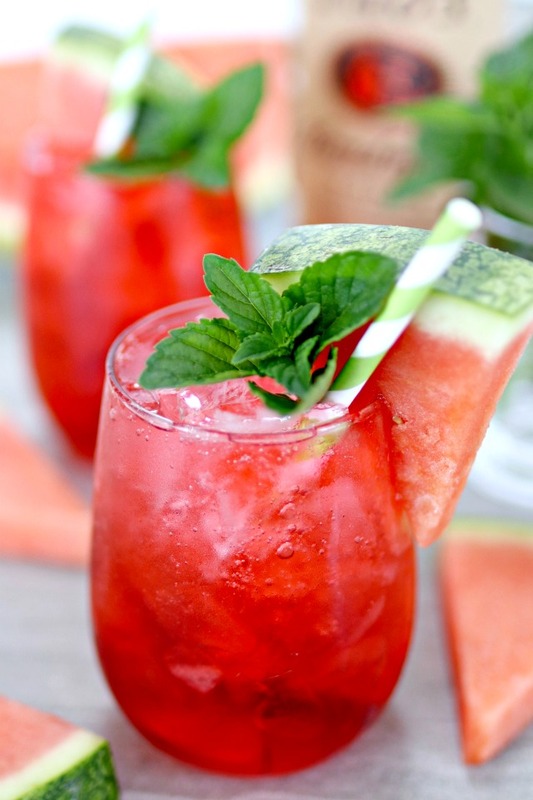 This Watermelon Vodka Fizz Cocktail is the perfect summer drink for watermelon lovers. It’s a little sweet and so refreshing! As soon as the first watermelons are available at the grocery store, I grab one at least weekly. There just isn’t anything that compares to a fresh, juicy, sweet slice of watermelon in the summer. 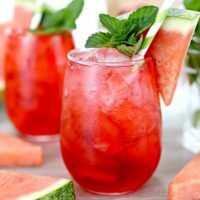 I recently decided to try watermelon in one my favorite cocktails, and it is pure summer perfection! So, grab a fresh watermelon and let’s get this party started! How Do You Pick a Sweet Watermelon? Before we get started, let’s talk a little bit about picking out the sweetest watermelon. Most people assume that the best watermelons are the greenest ones, and that’s not the case. To find a watermelon that is nice and ripe, look for one with a nice big yellow spot. This is the sweet spot…the more yellow it is, the longer the watermelon has been ripening on the vine. How Do You Cut a Watermelon into Triangles? One of my most viewed posts on my other blog, Mom 4 Real is this one…How to Slice a Watermelon Into Triangles! Check it out and see the step-by-step directions and photos showing how I slice our watermelons in seconds. It’s seriously easy, and makes serving watermelon sooo much better! What’s in a Watermelon Vodka Fizz? 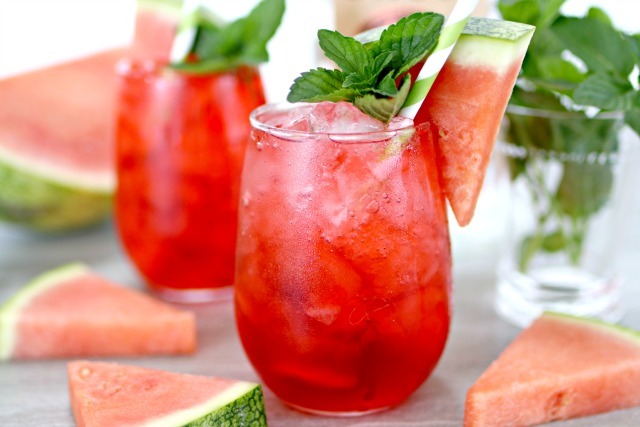 This easy Watermelon Vodka Fizz cocktail will be your new summer go to drink! It’s so fresh and delicious! Add vodka, pureed watermelon and simple syrup to a cocktail shaker and shake well. 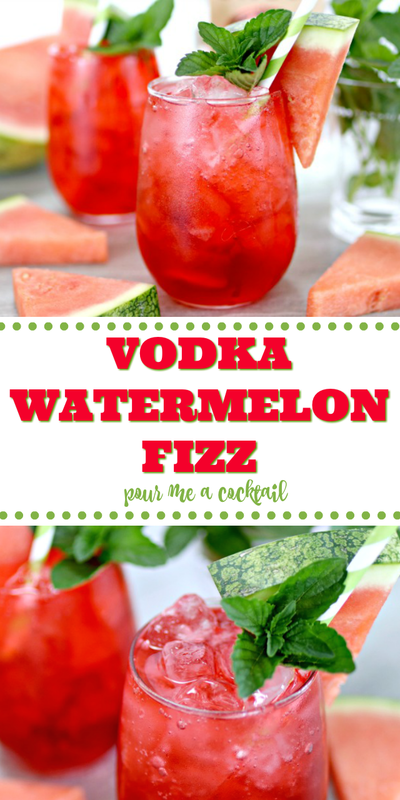 I hope you enjoy this Watermelon Vodka Fizz as much as I do! They don’t make a cocktail much fresher than this Raspberry Gin Fizz! It’s so refreshing and delicious…perfect for hot summer days! 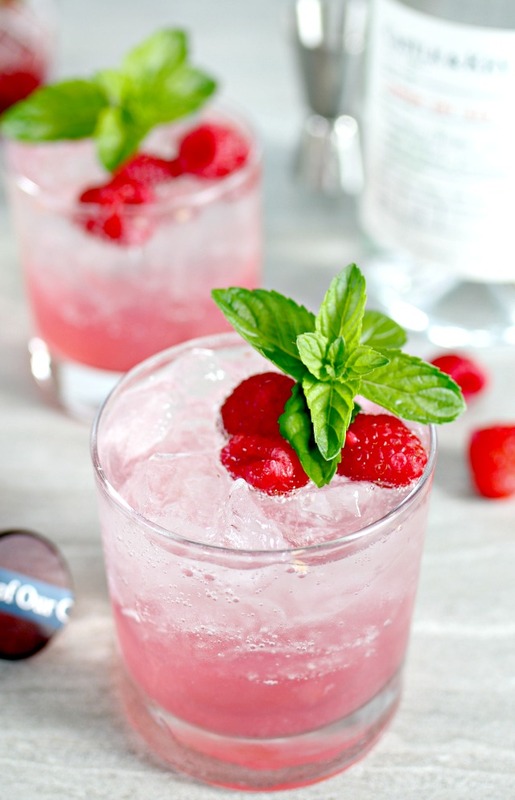 One of my absolute favorite cocktails to enjoy year round is the Raspberry Mint Mojito! 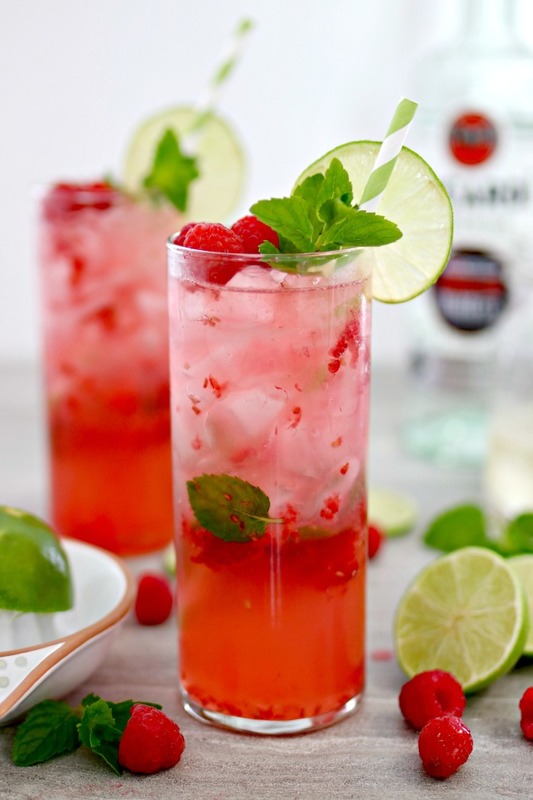 The mix of fresh raspberries, mint and lime juice is out of this world! 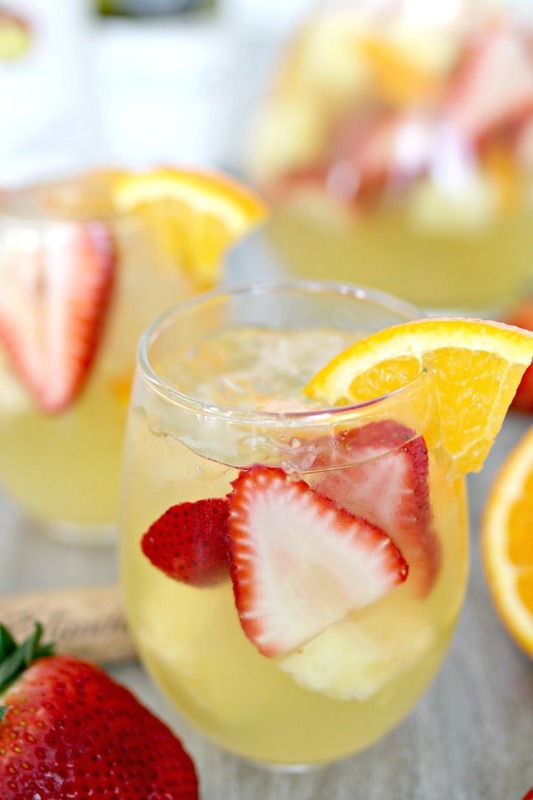 If you are looking for a delicious Sangria recipe, then you HAVE to try this Tropical White Wine Sangria! Enjoy just one, or make it for a crowd…either way, it’s sure to become a favorite!